One thing most scuba divers look for when choosing a place to spend their hard-earned week long vacation is a place with a little variety. So to help showcase a tiny bit of the diversity of marine life encounters possible in West Palm Beach, we have taken a week’s worth of photos to show you just one tiny aspect of it. We will start, of course, with the countless number of reefs. Each one has it’s own uniqueness. Travel to the southern reefs and a place like Flower Gardens and you’ve got the massive schools of grunts at the Fish Bowl that create for a beautiful backdrop to the sponge-covered coral reef. Breaker’s Reef takes the sponge-covered coral reef to the next level. The end of Breaker’s, aptly named Turtle Mound, is the place to visit to encounter numerous sea turtles. This is the northern most section of the southern reefs and a place to definetely want to spend some time hanging around as it seems to be the first stop for numerous sea creatures traveling south. Great hammerhead sharks, resident lemon sharks, countless sea turtles, goliath groupers, and stingrays are just a few of the regular leviathans you’ll see here. These southern reefs are typically in the 45-60ft range. The next section of reefs lies just south of the Lakeworth Inlet. One of the most popular is North Double Ledges. As the name implies, there is a double ledge coral reef system adorned in very colorful coral. Big schools of fish are the norm. This is also a favorite spot to encounter the resident bull sharks who swim off the nearby wrecks to visit the divers. This is the place to encounter the larger leviathans, too. We have had numerous encounters with whale sharks, mantas, mola molas, and even sailfish during our safety stop. The depth here ranges from 65 – 90ft. North of the Lakeworth Inlet we have some deep water (90ft+) reefs and many of our ship wrecks. 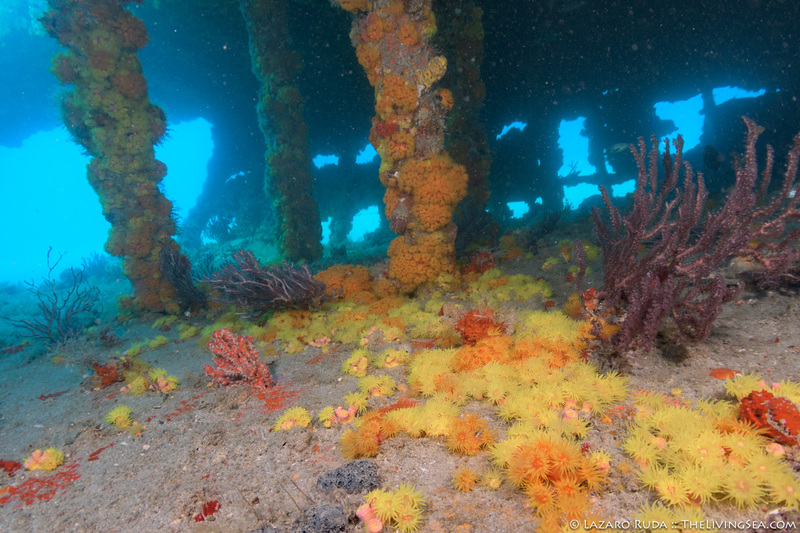 The Corridor Wrecks is a favorite for many and with good reason. A series of wrecks starting with the M/V Ana Cecilia, the Mizpah, PC1174, Amarylis, and a few more make of this fun series of wrecks. They sit in 75-80ft. of water and are home to resident goliath groupers and hawksbill sea turtles. From August through October these wrecks and the hundreds (yes, you read that right!) goliath groupers that aggregate here put on a show you do not want to miss! This area also has some shallower reefs beginning with Midreef. 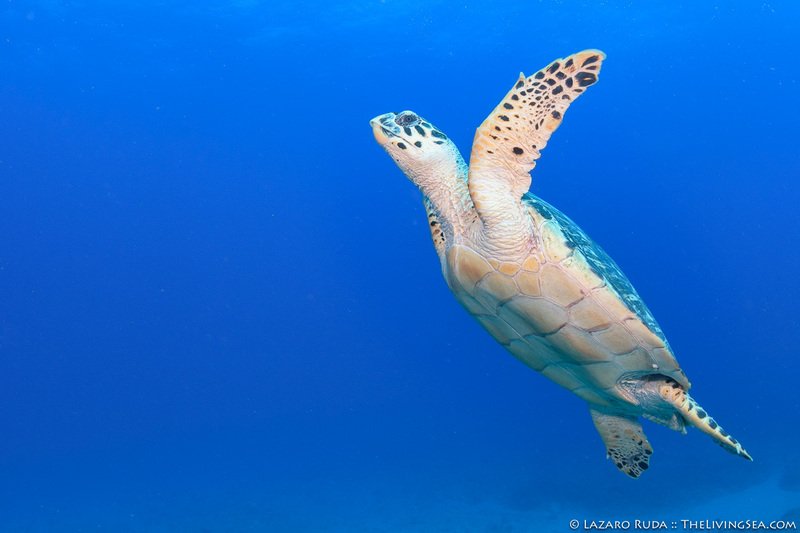 A favorite amongst the sea turtle lovers for their year-round resident hawksbill sea turtles. This reef system consists of valleys and hills and a distinctive ledge, too. 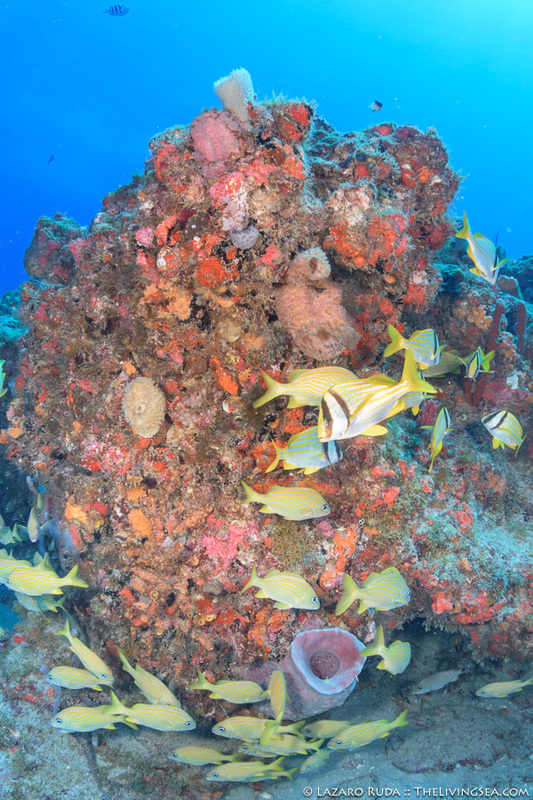 This is a great place to visit when diving conditions are less than ideal with big seas or very strong currents (a rarity) as this reef is just a 5 minute ride outside the inlet. Travel further north and there are even more reefs including places like Shark Canyon (guess what we see here?) and Juno Ledges (gorgeous deep double ledge coral reef system). 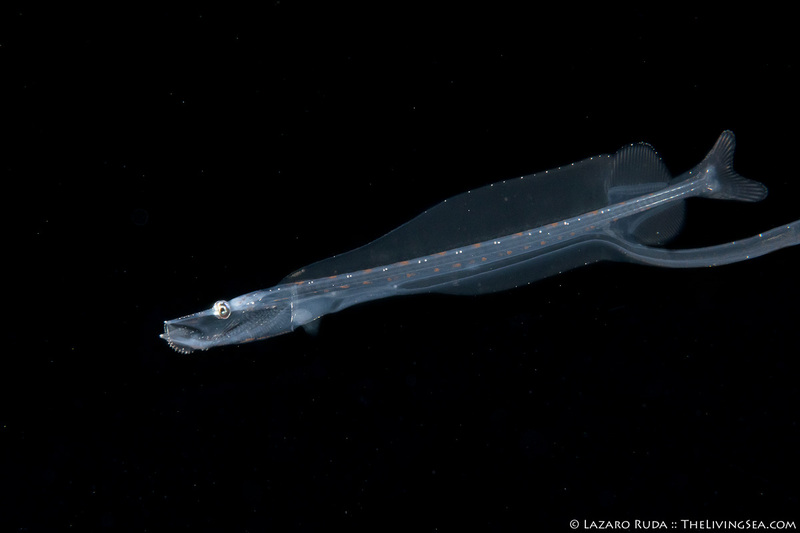 Deep water dragonfish photographed during a Blackwater Dive. For those wanting something EXTRA unique, Walker’s Dive Charters offers Blackwater Dives. These dives will leave you in awe! Heading out around sunset, we travel out to 500-600ft of water out in the Gulf Stream and jump in for an hour and half of pure delight as we drift in the top 50ft of water. The creatures we encounter are unlike any you will have likely seen before; even for a 25 year local veteran diver like myself. These out-of-this-world dives are quite unique and definitely something you don’t want to miss! Unlike some other places worldwide offering similar blackwater dives, we are unique in that we do not tether you. The freedom to move around and take your time photographing those unique deep water sea creatures is yours to enjoy. 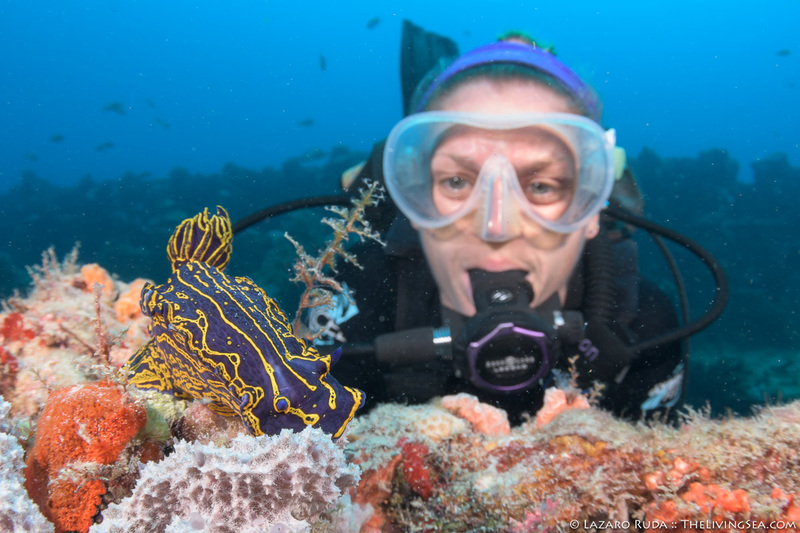 Look at many of the international underwater photo competitions and you will see many award winning photographs being produced during these blackwater dives. The photos you see here were taken within the span of just one week during six dive outtings. These are just some of the highlights, too! A week of diving (or more!) 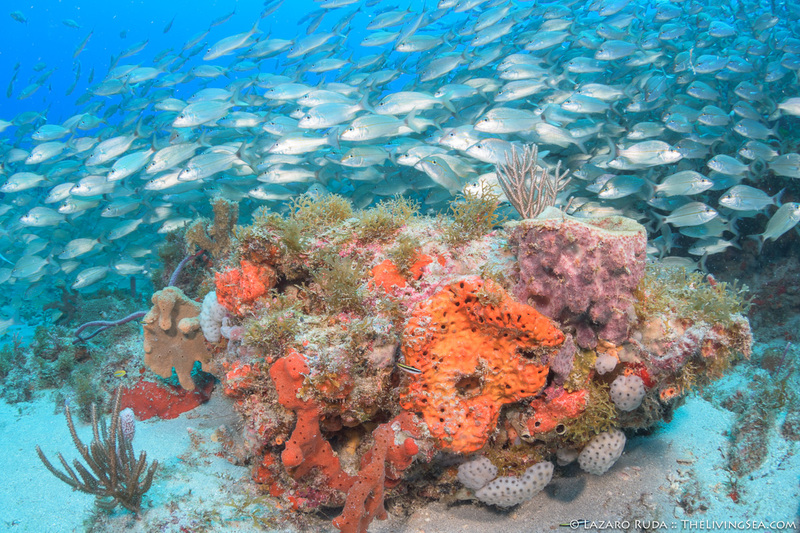 will easily produce this amount of variety and more when scuba diving in West Palm Beach, Florida. Come experience it for yourself! PS – We didn’t even mention diving at the world famous Blue Heron Bridge (Phil Foster Park). You might want to call your boss and tell him you’re going to extend that one week vacation to two, three, or maybe indefinite! By the time you’re done diving in West Palm Beach you’re going to need a vacation from your vacation.